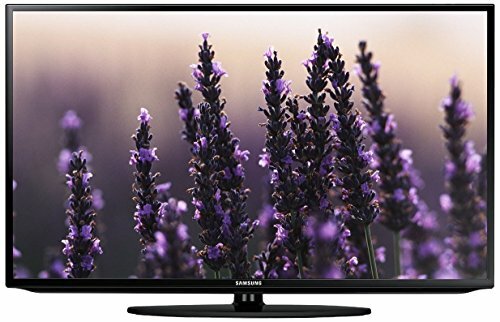 Nowadays, most 32-inch TVs are placed in a kitchen, bedroom, or den as a secondary TV, but this UN32H5203 from Samsung delivers detailed, crisp picture which may give your main television a run for its money. It boasts an LED backlight which combines miserly power usage with snappy picture contrast. This TV is a great investment for someone who’s after an affordable TV for enjoying movies, TV shows, and other stuff as well as for playing console games and Blu-Rays. It is really difficult to discover a low-end TV which can compete with the high-end TVs since mostly, entry level TVs just beat their high-end rivals on price alone. Actually, many people are ready to compromise quality for good bargains. However, this Samsung’s 32-incher changes this perception. It is pretty cheaper than most high-end TVs, yet you cannot afford to ignore its great picture quality and smart platform. If you want a TV which does the job for a great bargain, then this TV is what you need. It neatly displays Full HD, and it only comes with a few minor flaws which you can ignore. Key Features – What You Get with This TV? This TV looks plain and unassuming, but it doesn’t seem cheap. It boasts a flat black bezel, and the screen is placed on a single-legged base which lets it pivot right and left. There are two HDMI and two USB ports on the back of the TV, near the antenna connection, and they face the right side of the TV’s screen. The Ethernet port (remaining HDMI port for those who don’t want to utilize the built-in WiFi), mini-jack audio outputs as well as composite and component inputs face back. The remote control is pretty simple, with drawbacks on many flashy features, yet it gets the job done. The channel and volume rockers are easy to discover under your thumb, as well as is the Smart Hub button which brings up the TV’s media navigation menu. This feature helps users explore TV shows and movies. Also, the Smart TV feature might help you in searching for some new area of TV entertainment with great reliability and rapidly due to the Samsung UN32H5203’s powerful processor and some other helpful tools like S-Recommendation. You can orderly and easily organize your entertainment through Smart Hub, as well as easily navigate through TV shows, movies, and many streaming content. Since built-in WiFi is available, you are allowed to do Full Web Browsing and enjoy online shopping, find trending content as well as to do social media updating. This TV excels in pretty much every area of performance. Its colors are accurate and its resolution is great at full 1080p HD. For anyone searching for detail-rich shadows and brilliant color on an inexpensive and affordable TV, that is exactly what this TV offers. Moreover, users looking for an affordable TV to play console games or showcase Blu-Rays don’t need to look any further. This TV out-performs TVs well above its weight class.